Background - Beiju shares the first track "Movin On" off her upcoming EP. Demain is due July 7, 2017. Raised in the outskirts of Paris, Caitlin Seager was heavily influenced by contemporary jazz and the avant-garde art world as a child before moving to New York City at 18. She began singing in the growing Brooklyn DIY scene at such venues as the storied 285 Kent alongside local stalwarts like DIIV with her group Night Manager, culminating in full-length releases on Fire Talk and Big Love. As the front singer in Night Manager she developed her acrobatic vocal style that has become her signature. The Last Dinosaur - Grow. Background - Poignant, dreamlike, beautiful: The Last Dinosaur’s The Nothing is a record to swim in. 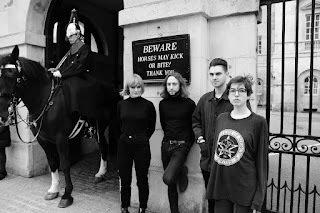 The brainchild of Londoner Jamie Cameron, it’s an album that addresses a tragic event from his teenage years, and transmutes that experience into a cathartic work of art. Background - Pursuing their sonic manifesto “to use as few words and chords as possible”, London four-piece Moderate Rebels have followed their debut single ‘God Sent Us’ – a ‘Lamacq Livener’ frequently spun on BBC 6Music and Radio X – with a blistering five-track EP to be released on 2 June on Everyday Life Recordings. “We want to acknowledge the conditions of the era we find ourselves in and generate feelings of transcending them,” say the band. To this end, ‘Proxy’ was recorded in a small South Bermondsey studio while Moderate Rebels were reacting to stimuli including (but by no means limited to) Spacemen 3, La Dusseldorf, Kaitlyn Aurelia Smith, Roxy Music, Black Box Recorder, Jenny Hval, Death In Vegas and MGMT. Allie & Ivy - Money. 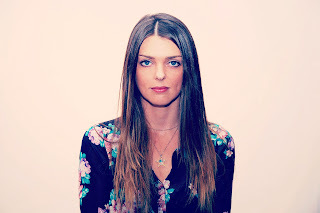 Background - Money is the latest indie jam from Sydney electropop singer-songwriter, Aleisha (Allie) Conlay who goes by the musical pseudonym, Allie & Ivy. This three minute pop gem boasts Allie & Ivy’s signature summer vibes, with sunshine-bright melodies, shimmering synths and chant-like vocals. Karl Walsh & The Happy Future - Wonderful. Background - Karl Walsh & The Happy Future stunning album 'Birds' is set to be released on June 30th. 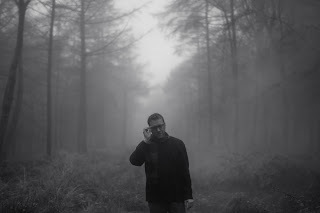 The Happy Future was formed in Manchester in 2015 by Karl Walsh who was originally signed to Factory Records by Tony Wilson. Walsh, also a founder member of acoustic trio To Hell With Burgundy, played all over the world with Bob Geldof, The Pogues, Barclay James Harvest and Graham Parker before relocating to France where he wrote three novels. Returning to the UK in 2012 Walsh formed The Visitors with Mike Crook and Frederick Apps, releasing their debut album ‘Above You’ on Earliest Records. Background - Jason Loewenstein shares "Machinery" video with 'Spooky Action' out 6/16 on Joyful Noise Recordings. 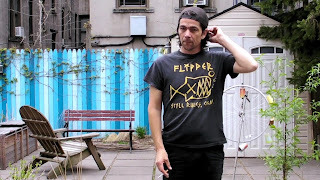 Jason Loewenstein has been a major force behind lo-fi pioneers Sebadoh ever since their pivotal 1991 record, “III”. Along with fellow partner in crime Lou Barlow, Loewenstein has co-created some of the most influential releases in indie-rock, including the pivotal 90's albums “Smash Your Head on the Punk Rock”, “Bubble & Scrape”, and “Bakesale”. Way back in 2002 Jason Loewenstein released his first solo album “At Sixes And Sevens” via Sub Pop. Now 15 years later, the follow-up has finally arrived. “Spooky Action” contains 13 new songs of unwavering rock. The self-recorded, self-produced album is as solidly engaging as anything in Loewenstein's formative lineage. Bandcamp here. 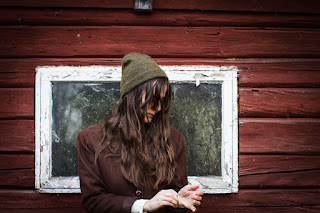 Background - Acclaimed Oslo, Norway based artist Frøkedal is now sharing her new single ‘Stranger’. Celebrated by the likes of The New Yorker, The Sunday Times, The Independent and Q Magazine; new single ‘Stranger’ is a worthy successor to her Norwegian Grammy-nominated debut LP of 2016, ‘Hold On Dreamer’. 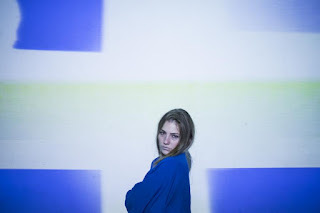 The track explores the promise of new beginnings – both in a lyrical and more literal sense – with ‘Stranger’ signalling the first in a series of standalone singles this year for Norwegian singer/songwriter/producer Anne Lise Frøkedal.